PeerIndex is a big data company who analyse social media for both individuals and brands. Hired to lead a team of five developers, I led the project to rebuild the consumer website in the Symfony2 framework. As part of this, I also led efforts (in collaboration with the Director of Engineering) to implement a Scrum development process, and establish continuous integration and automation of the deployment procedure. SocialGO offers a social website building platform to its subscribers which allows them to create and grow their own online community. 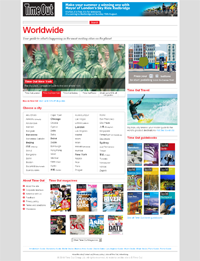 The software provides many familiar social networking features such as content sharing, events, sub-groups and forums. Issues surrounding scale and complexity made this a challenging project to work on from an engineering perspective. 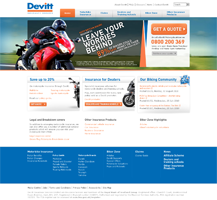 A design refresh and rebuild of the corporate website for Devitt Insurance, part of the Bank of Scotland Group. 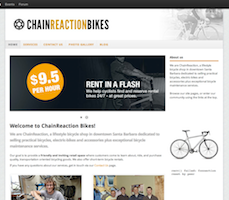 Devitt's previous website consisted of more than two hundred static HTML files. In order to screen scrape the content and save it into a database, I wrote a site crawler, which completely automated content migration from the old site to the new. The site was built entirely in Symfony, and included a bespoke CMS built using Symfony admin generator and a number of Symfony plugins. This was a web build project I inherited from a freelance Symfony developer when I first started working for Harvest Digital. 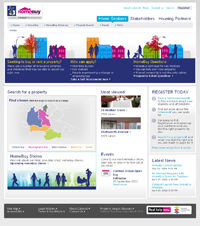 It allows its users to register for the UK government 'HomeBuy' scheme of which the client, Catalyst Housing Group, is a provider. This was an interesting project to work on and to learn from because of the complex logic involved in assessing an applicant's eligibility for the shared equity schemes available. It required managing a huge number of complicated HTML forms which is one of the reasons why Symfony was the technology used for this project. I worked at Time Out for over two years during which time I was involved in the migration of the website onto a new Symfony platform from an existing one which was partly build upon the Zend framework. I gained useful experience working in a medium-sized development team and witnessed the change of the project management process from the traditional waterfall development model to the iterative agile method. My team utilised techniques such as continuous integration and test-driven development to improve the quality of the software produced.